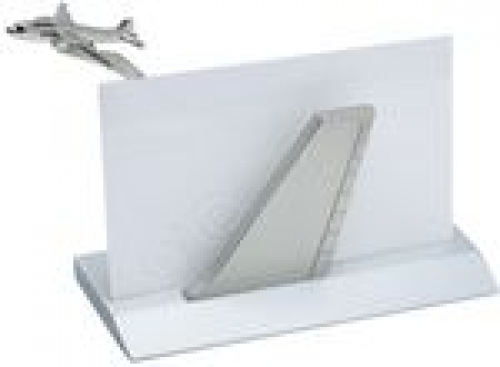 Silver metal business card holder. Approx. 3.75" L x 1.75" D x 3" H.